Love stories come in many guises - romantic, misguided, forbidden , love between friends, child and parent, human and animal. Love stories are just the thing for the cooler weather. 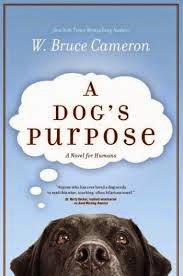 A Dog's Purpose is four short stories that make up one dog's life. This book is narrated from the dog's point of view as he is reincarnated four times and with each reincarnation he takes what he has learnt from one life into the next. In each life he is loved and gives unconditional love. Sentimental? Perhaps but the book's quirkiness makes it a different read. Recommended by one of the animal loving staff and a book that makes you both sad and happy. If you got a second chance at love, would you take it? This is a romance about Georgie, a woman who needs to make a decision to save her marriage. Through flashbacks along with Georgie's determined personality we get to see her fall in love not just with her husband but with her job and best friend. We get to see what shaped her choices in life, how happy she was in the past and how life got in the way. The other characters in the book are well written. This book touches on love, family, guilt and self worth. Happy ending or not? Definitely a dog lover book. The Grogan family buy a dog.A spirited (a bit naughty) dog. Instead of giving up and sending Marely to the animal shelter they try obedience classes, the vet and various other recommended ways to train him. 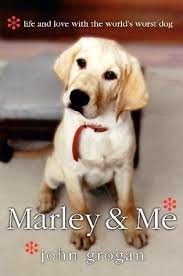 Marley becomes a much loved part of the family who loved him for who he was for his whole life. In return he loved them with all his heart. Every dog and family should be so lucky. 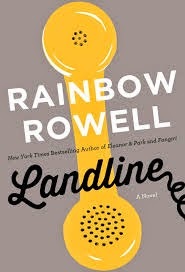 Well written and very funny at times. 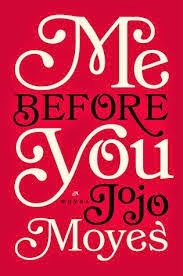 Love story or not or is this book written to emotionally manipulate? Lou is one of those characters that finds herself in a few awkward situations but always manages to get through them with a lack of propriety. Lou needs a job. Will needs a carer after an accident that left him a paraplegic. Will wants to end it all, Lou is horrified and sets out to give Will a reason to live and look forward to each day. The relationship that develops between them is told in a very readable way and with humour. This book is funny but balanced out with a hard dose of reality of what it is really like to be disabled. A entertaining read. Claire Armstrong has early onset Alzheimer's disease, which has been passed down to her genetically by her father. The story follows Claire, her husband Greg, daughters Caitlin and her mother Grace. 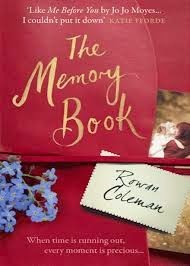 In order to help Claire remember the memories that they shared over the years, they start a memory book where each of them record precious memories. The book is divided into diary entries of the character's memories and the past from Claire and Caitlin's point of view. Alzheimer's is a sensitive topic which the author handles very well. While the subject is sad this book will also make you smile. Pat Peoples is strange by societies standards. He has been in the 'bad place' for an extended period and once out, with the help of his mother, he is trying to get his life back on track so he can reunite with his wife - who everyone knows won't be coming back. Pat's struggles are exacerbated because nobody understands him. Then he meets Tiffany, the mentally unstable, widowed sister-in-law of his best friend Ronnie. The odd pair try to navigate a friendship. A very good read. I also highly recommend the DVD of this book. 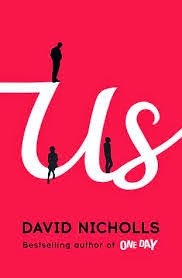 Us is an insight into a 25 year old marriage that has run its course. Douglas and Connie are preparing for the 'Grand Tour of Europe' before their son Albie leaves home to go to university. At 4am one morning Connie tells Douglas that she can't see herself spending the rest of her life with him and that once Albie leaves, she is thinking of divorce. They both agree that they should go on the last family holiday together. Douglas narrates the story as they travel across Europe. He believes that the trip will heal all. The book is part memories of their past life together and part 'what could go wrong on holiday does go wrong'. Does Douglas win Connie back? 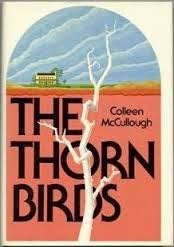 This Australia novel spans over three generations of the Cleary family. The only daughter Meggie feels that she can't discuss life issues with her mother so she turns to the local priest Father Ralph de Bricassart. Time goes on and Ralph and Meggie develop romantic feelings for one another. As the story unfolds the Cleary family have to deal with love, loss and heartbreak. This book is not a conventional romance - as we usually expect a happy ending or some sort of transcendent tragedy. Instead the end is a jigsaw puzzle of bittersweet riddles. An Australian classic in many ways. 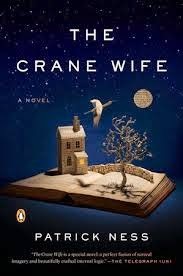 The Crane Wife is loosely based on a Japanese myth and is a story within a story. George is a divorced, lonely man who wakes up one night to fond a wounded crane in his garden. George helps the crane and the next day meets the beautiful Kumiko. He falls in love with her. George's divorced daughter is less than impressed however Kumiko moves into their lives and shows them how to love themselves and others. A case of an act of kindness payed forward? Three woman, all at a crossroad. All 3 have children starting school, all have very different lives. Then at the school trivia night, someone dies. The story shifts between the lives of the 3 women and their families to an unexpected conclusion. 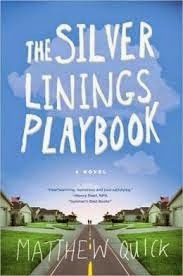 The characters are believable - parents behaving badly, children and teens issues, friends, husbands, second wives and exs. 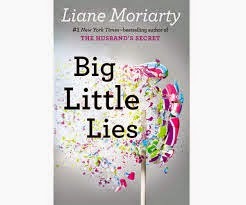 I really like this author and would recommend her other books particularly The Husband's Secret.